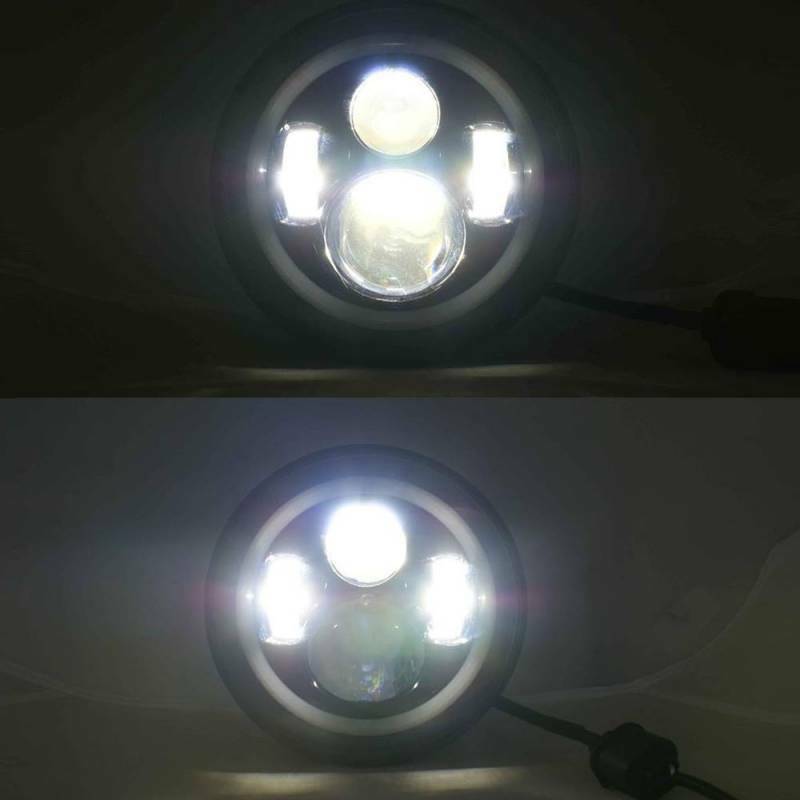 Outlaw Lights LED Headlights for 1997-2015 Jeep Wrangler JK/TJ are a direct replacement of the OEM 7" headlights. 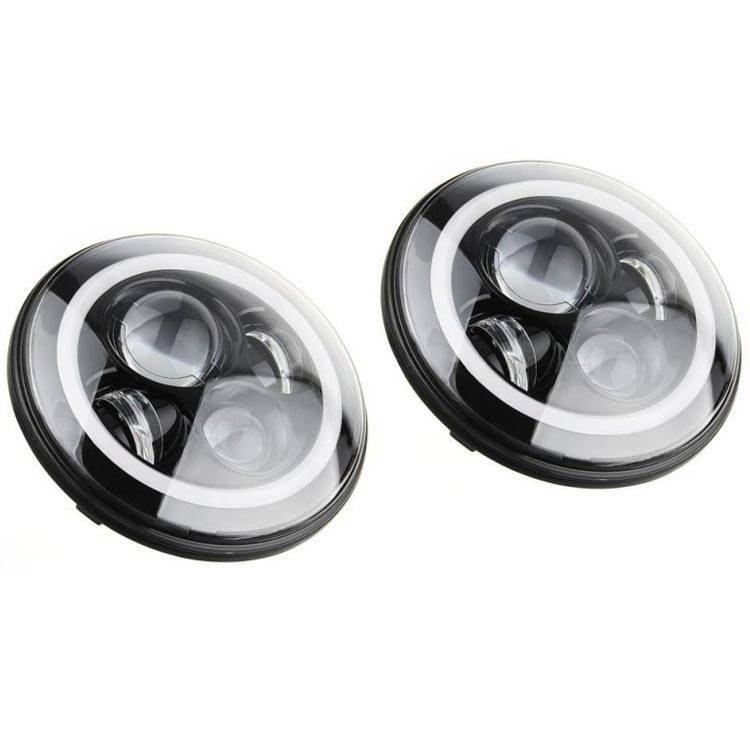 These innovative projector headlights feature LED High Beams, LED Low Beams, Switchback LED Halo and sleek black bezels that add cool style and a sleek appearance to your Jeep Wrangler JK or Jeep Wrangler TJ. Instant on. Zero flicker. Bright 6500K low beams, 7000K high beams. 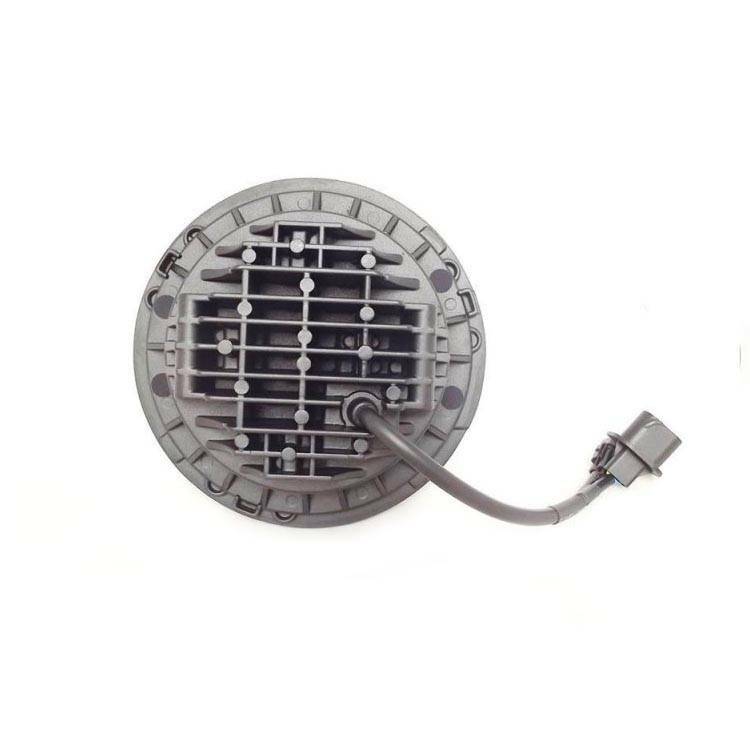 3200 raw lumens and over 50,000 lifetime hours. Switchback LED Halo is white when on as daytime running light and turns amber when used as turn signals. 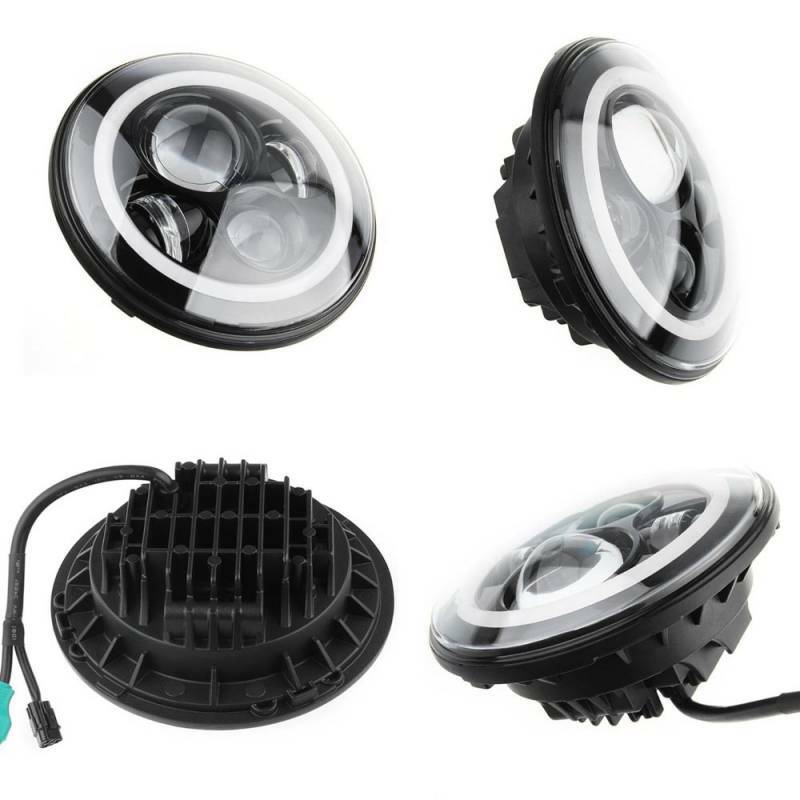 This set of LED headlights comes as a complete headlight kit that includes (2) H4 adapters and (2) H13 adapters for easy, plug and play installation and compatibility with all 1997-2006 Jeep Wrangler TK and 2007-2015 Jeep Wrangler JK models. 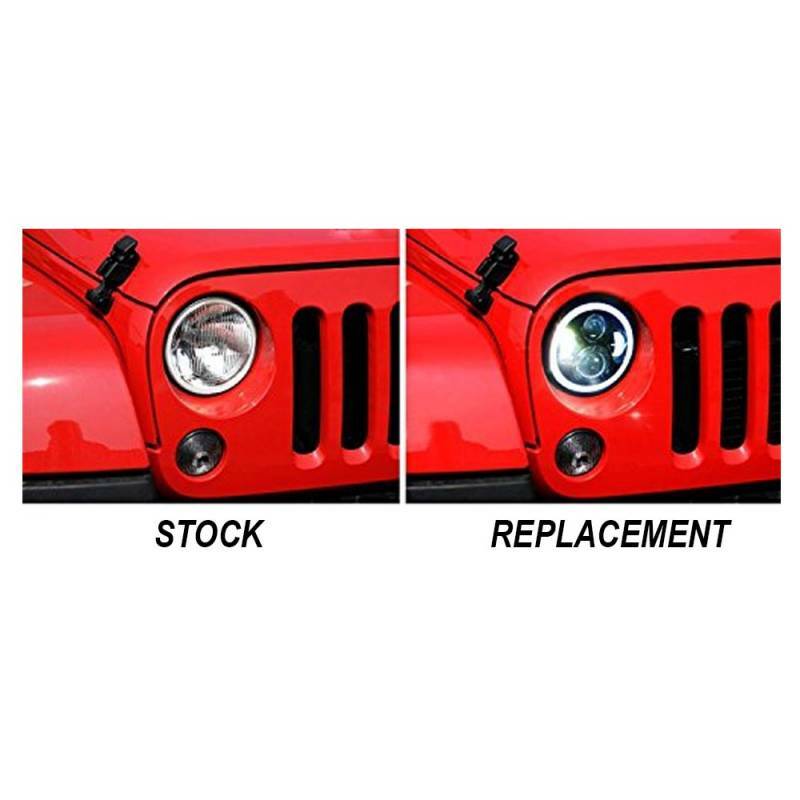 The high/low LED bulbs included with these headlights shine brighter and whiter than factory halogen bulbs and the black bezels add a sleek, modern appearance that enhances the look of your Wrangler. 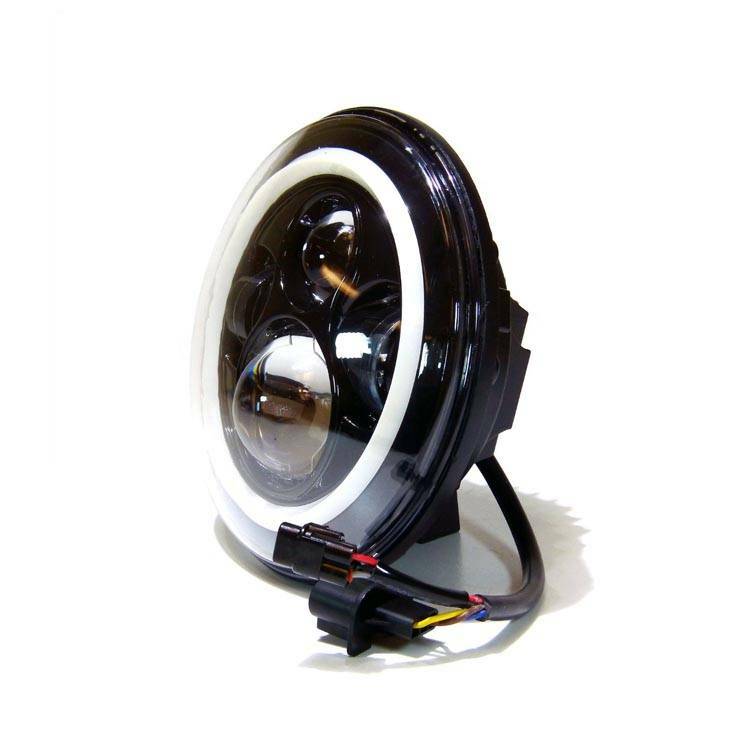 Look no further than Outlaw Lights for the best Jeep Wrangler headlights on the market. 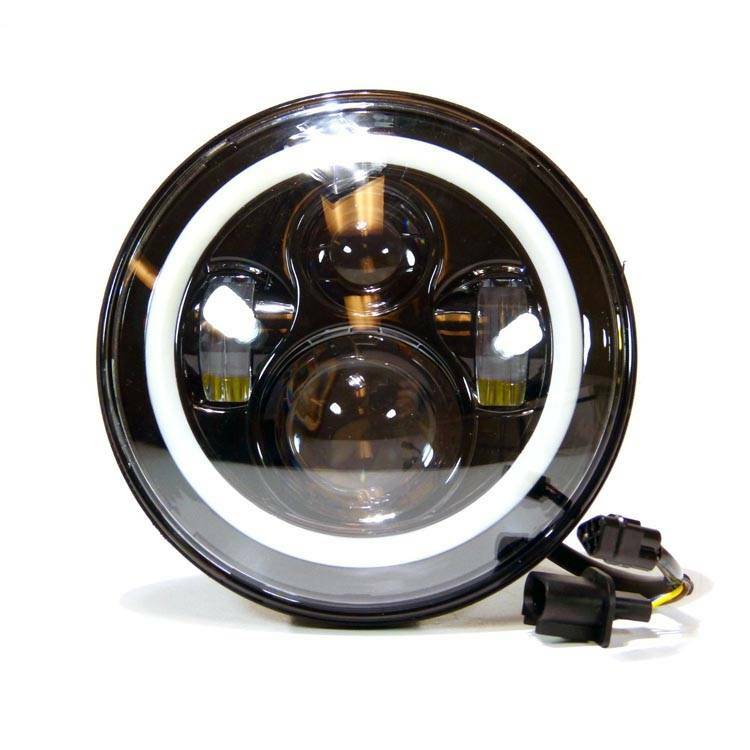 Outlaw Lights Jeep Wrangler Headlights are a great value and priced well below similar headlights with the same quality, dimensions and features. You'll get the modern style and superior performance that you want for your Jeep Wrangler with premium quality headlights from Outlaw Lights!